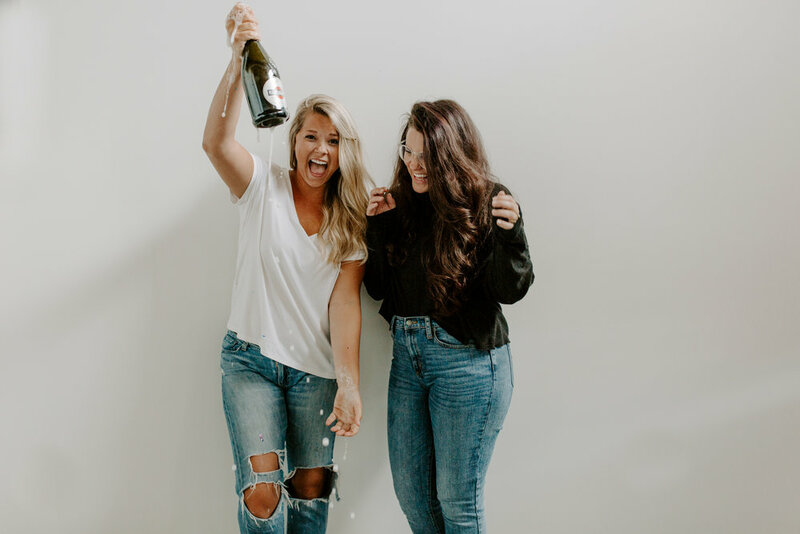 Anna and Angie have been friends since HIGH SCHOOL BUT went their separate ways in college and reconnected when they started working at a coffee shop together in 2014. Angie was quickly hired to work for a local wedding venue and that began their unofficial partnership; four years and countless styled shoots later, Angie and Anna have become each other's go-to for collaboration projects and are so excited to open their shoots up to help inspire others! Anna is the girl behind the camera. She started her photography business on a whim just over 4 years ago and has shot almost 100 weddings since. She is most in her element when she's capturing a wedding or helping other photographers chase their dreams. She lives in an old Mill Village house with her husband, Ben, and you can usually find them watching The Office for the tenth time or planting new flowers in their yard. Read more about Anna on her website here! Angie is the lady behind the design. She is a wife to Kevin, mom to Van and is passionate about creating an inviting space that makes every room feel like home. What started as a dream to design weddings has now evolved into a passion for creating; from styled shoots to interior design she has experience in almost every area. You will most likely find her at a local coffee shop with her baby boy, working on new projects and socializing with anyone she can talk to! Read more about Angie on her website here!